I love home automation (as I'm sure any geek does! ), so when I saw the BBSB online controller I knew I needed it in my life but could really justify the £90, plus I figured why not try and build one myself. I mean, how hard can it be? 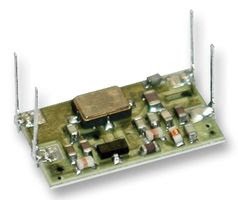 A Hope RF RFM12B (supplied with 868MHz module) transceiver for 2 way communications with other boards. 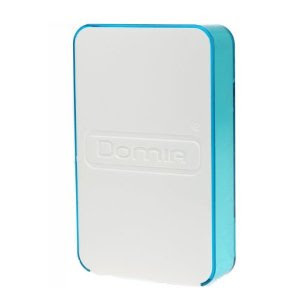 A microSD card for general datalogging storage, storing applications and webpages. microSD card not supplied. A realtime clock IC with alarm function which also holds a unique ID. not supplied. An 8 pin socket (under the H logo) to allow you to add non volatile RAM for program download. Supplied with 23K256 256kb SRAM and DIL socket. This allows me to use it to talk to other devices, but more on that in a later blog post! To simulate the bye bye standbye online controller I needed to know 2 things. 1 how does it talk to the sockets, and 2 how does it receive commands from app such as the brilliant remote for Bye Bye Standbye. Well thankfully both problems have been solved, and well documented many times before! Arduino actually have a playground for all of the HomeEasy integration code - so that was the easy bit. The only additional thing I needed was something that could "talk" over the 433 frequency. Thankfully Farnell sell one for a smidge of £4. Once I proved I could get this working nicely (using code sample 3 from the playground) I moved on to problem 2 - how does the BBSB controller talk to other software? Again this was (unusually) well published by bye bye standanby (hats off to you for that!). So all I had to do was get the nanode to "talk" UDP. Well this was a tad harder! The Nanode does not use the same Ethernet chip as the Ardiuno Ethernet stuff - so you can't use the standard "Ethernet" Library. Arduino recently released a new version of their IDE (V1) this means a lot of the code samples online have changed so it's a tiny bit harder to get good samples, but with some great help from the nanode community (get involved on irc) I was able to pull apart the tftp sample and just handle the udp packets I needed. Well the Nanode RF already includes a transmitter so it's a bit daft not to be using it - unfortunately it's the wrong frequency - but you can easily by a compatible 433 transiever from farnell.